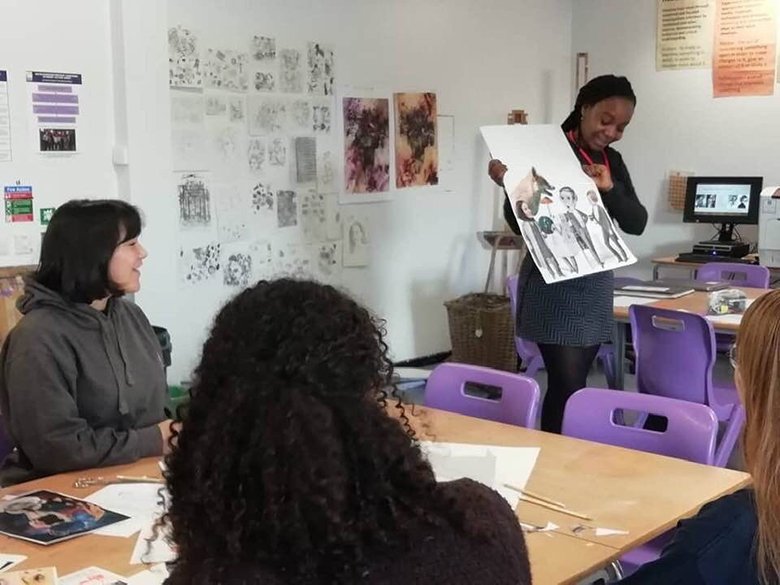 Visual Arts students at The Sixth Form College, Solihull have been taking inspiration from a range of external experts this term to support their own development and the expertise of their teachers. A level Fine Art students took part in a workshop delivered by Olive Burke from the Barber Institute of Fine Arts. The first year students took part in a range of creative activities, including photo-montage and drawing in response to words. Olive presented a video about the free workshops available to 16-19 year olds at the University of Birmingham-run gallery. These workshops involve responding to work on display, creating artwork and curating an exhibition. The Creative Arts department at the College includes four Visual Arts courses: A levels in Fine Art, Graphics and Photography and a BTEC in Art & Design.